SAN ANGELO, TX -- There's a 60 percent chance of showers and thunderstorms across West Texas tonight and a 50 percent chance for most of the week. 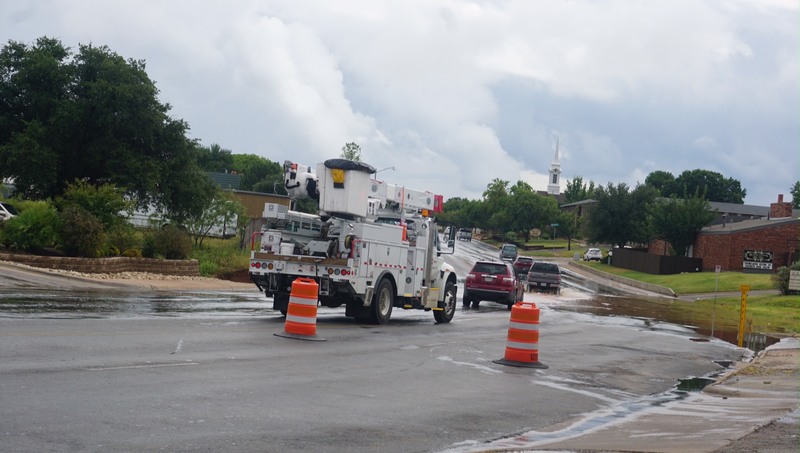 According to the National Weather Service office in San Angelo, the main threat with the scattered storms is flooding. Scattered showers and a few thunderstorms will occur across West Central Texas. Brief heavy rainfall will accompany these showers and storms. Motorists should be alert for suddenly reduced visibility in heavy rain, and for ponding of water on roads. Localized flooding could occur where any of the showers or storms persist. Scattered thunderstorms will be possible today and tonight. Localized flooding due to heavy rainfall is the main hazard. Strong gusty winds and dangerous lightning are also possible. Over the next five days, periods of scattered showers and thunderstorms will be possible into next weekend. Some of the rainfall may be heavy at times. The main hazard will be flooding due to locally heavy rainfall. In addition, cloud to ground lightning and gusty winds will also be concerns. Bring on the floods to west Texas.